Three New Jerky Brands Get Extremely Hot, Part 2! 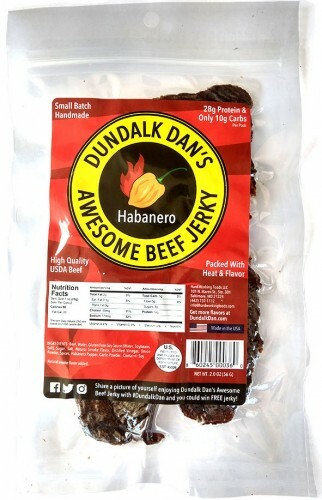 Fresh off the success of their Sriracha flavored beef jerky, Dundalk Dan’s recently released a new Habanero variety after fans expressed a desire to get a higher level of burn from the company’s famous line of meat snacks. And we were not disappointed! Our mouths started salivating as soon as the aroma of Habanero-infused beef wafted from the package. 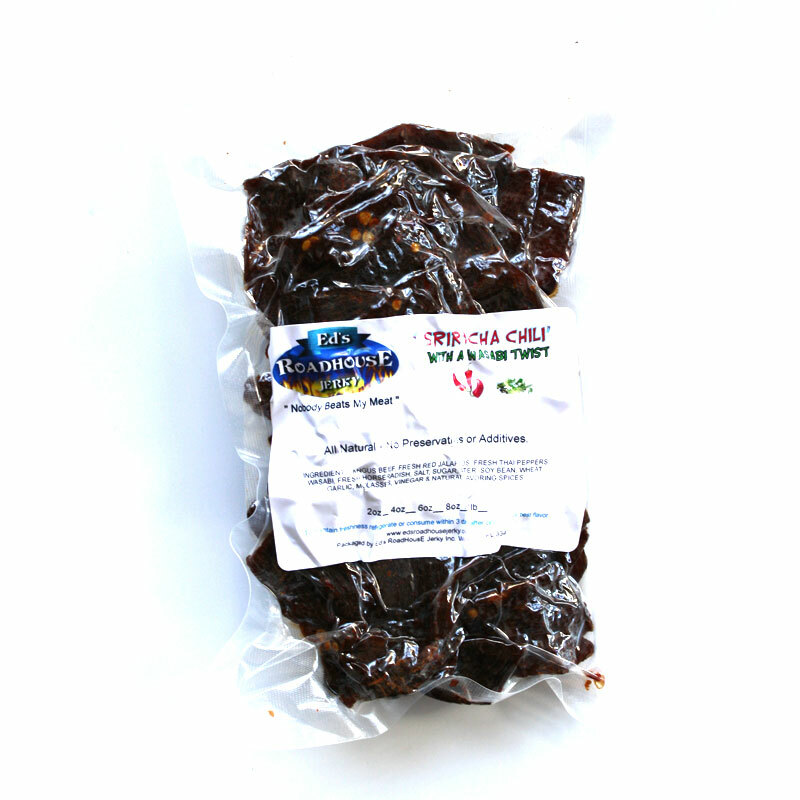 These slices of top round, with orange habanero residue on the surface, creates a lot of anticipation and trepidation in just how hot this jerky could get. Immediately, our palates were immersed with the rich, fruity flavor of Habanero, while light levels of sweetened soy sauce marinade came on to lull us further into snacking. Before we knew it, the fiery heat had already drowned out our resistance with surges of flames and flooded our senses with an endorphin rush that had us up on our feet. Like with Katie’s Beef Jerky, Dundalk Dan’s also does an excellent job of delivering both the natural flavor of beef with a steak-like chewing texture in an easy to tear, easy to chew, form factor. The seasonings are kept minimal to allow the full flavor of Habanero to come out. 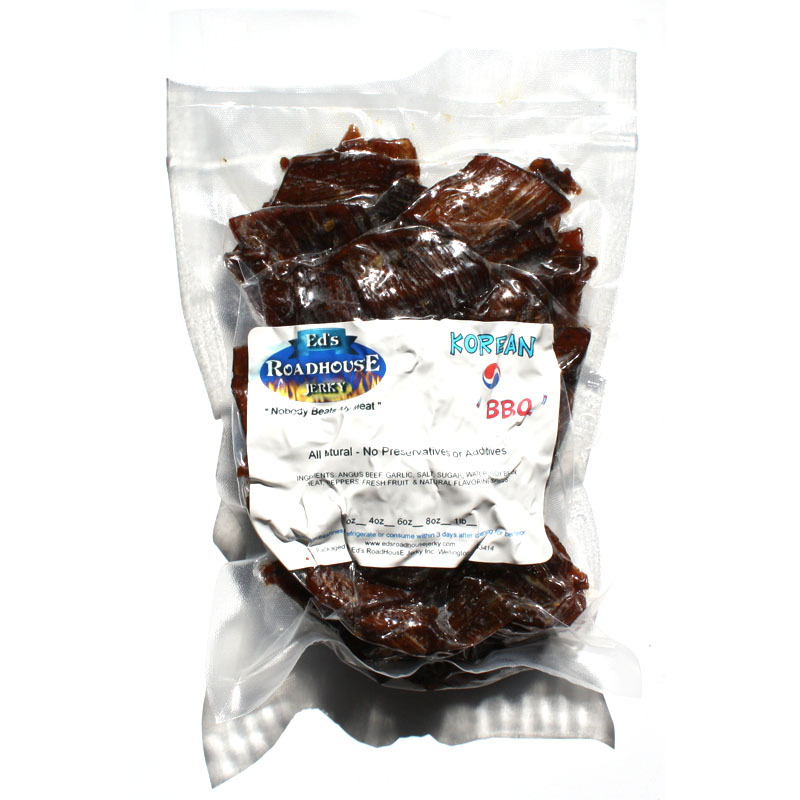 But, it’s also a one-dimensional jerky, putting all the focus on the habanero peppers. Yet, for those not yet ready to test the Carolina Reaper waters, this new Habanero entry from Dundalk Dan’s does a great job of presenting the fiery orange fruit in beef chewing style.